High Torque-up motor (Short axle). 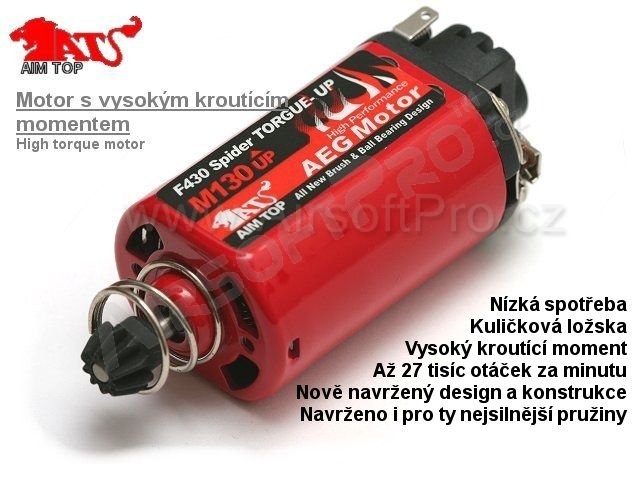 Low power consumption, All new brush & ball bearing design, High Torque-up, Ball bearing, Maximum RPM 27000RPM (8,4V). For springs M130 and up.